In a move that perhaps isn’t as surprising as the corny headline would suggest, the Pittsburgh Steelers have resigned Stevan Ridley, the reserve running back who joined the team in December after James Conner suffered an MCL injury in the loss to New England. 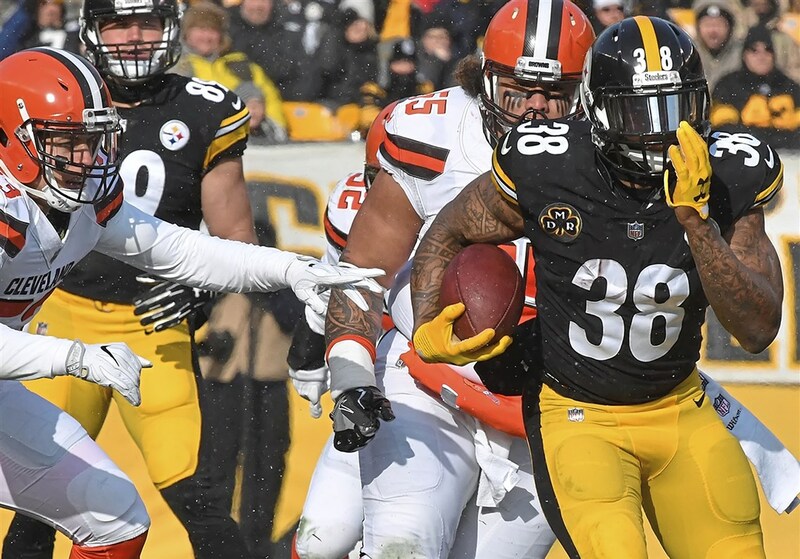 The Steelers wasted little time in putting Ridley to work, giving him carries in their Christmas win over the Houston Texans and starting him in their season-finale victory over the Cleveland Browns. That was good enough to earn Ridley 108 yards on 26 carries which included one touchdown. The Steelers had expressed interest in bringing Ridley in as a backup in 2015, but instead opted for DeAngelo Williams. The New England Patriots drafted Ridley in the 2011 NFL Draft and Ridley 52 games and 25 starts with them before injuring a knee in 2014. He’s only played in 12 games since then, including his two in Pittsburgh. Multiple Dogs for 1 Third Running Back Bone? Steelers recent practice has been to enter the season with 3 running backs and one fullback, and Mike Tomlin has not given any indication that things will be different under new offensive coordinator Randy Fichtner. Le’Veon Bell and James Conner are roster locks and the Steelers have already resigned Fitzgerald Toussaint. Taking a running back early in the 2018 NFL Draft is a very realistic possibility for the Steelers, which could set up a 3 way competition for the third running back slot on the Steelers depth chart. Terms of Stevan Ridley’s contract with the Steelers are not yet public, but it is almost inconceivable that Ridley signed for anything above the veteran minimum. That’s the same level contract that Fitzgerald Toussaint got, which means that both men will need to win a job at St Vincents this summer and probably at the other man’s expense. This entry was posted in Steelers 2018 Free Agent Focus, Steelers 2018 Off Season and tagged 2018 NFL Draft, Fitzgerald Toussaint, James Conner, Le'Veon Bell, Pittsburgh Steelers, Randy Fichtner, Steelers free agents, Steelers running game, Stevan Ridley. Bookmark the permalink.